Following her education at QEGS Penny gained a degree in Geography and Social Science. She volunteered for a year as a personal assistant for a disabled student at University and this confirmed her desire to become an Occupational Therapist (OT). An OT provides interventions to people with physical or mental health difficulties to enable them to carry out daily activities independently. She completed another degree in Occupational Therapy and then began her career in the NHS, initially working in a hospital and then working within the community in mental health settings. She developed an interest in Cognitive Behavioural Therapy (CBT) and studied for a post graduate diploma in CBT. She now works as a Cognitive Behavioural Therapist in the NHS, with adults who have depression and anxiety disorders such as Social Anxiety, Generalised Anxiety Disorder, Obsessive Compulsive Disorder and Post Traumatic Stress Disorder. The role is to assess people’s difficulties and treat them using CBT. This is done by working with clients to identify and alter unhelpful thinking patterns and behaviours. 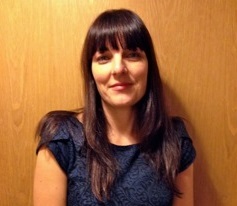 Penny works in community settings in Bolton with a team of colleagues offering a range of psychological therapies. Cognitive Behavioural Therapy can be very effective and she finds it great to see clients improve through the therapy.